We teased it in our last episode, but we’re finally ready to reveal to you: our next book is called The Eye of Argon. We figured, what could possibly carry the torch of Ernest Cline’s terrible books, and decided: how about a typo-riddled fantasy novella written five decades ago by a sixteen year old who never published anything again? The Eye of Argon by Jim Theis is obscure, but it is available in print (VERY curious what the publisher makes of the sudden spike in sales!) Fortunately, it’s also available in every ebook format known to man right here. And if you want a true window into madness, check out the scan of the original issue of the Ozark SF Association “magazine” it appeared in. The Eye of Argon is mercifully short, so you could probably read the whole thing in one sitting, but for our next episode we’re only going to read thru the first four chapters. Yes, that includes chapter 3.5. 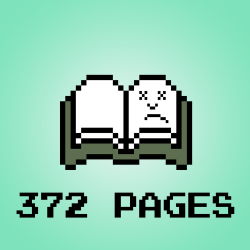 No, we don’t know why there are multiple “half” chapters. Email us your thoughts and fanfic at 372pages@gmail.com And if you’re interested in supporting our patreon, you can do that here: patreon.com/372pages You’ll get early access to our episodes (Patrons have known the book title since Tuesday!) and the warm feeling that you’re helping make nonsense like this happen! Next PostNext Episode 20 – Hope You Like Adjectives!